In just 10 minutes you can have a fresh, radiant and restful gaze! 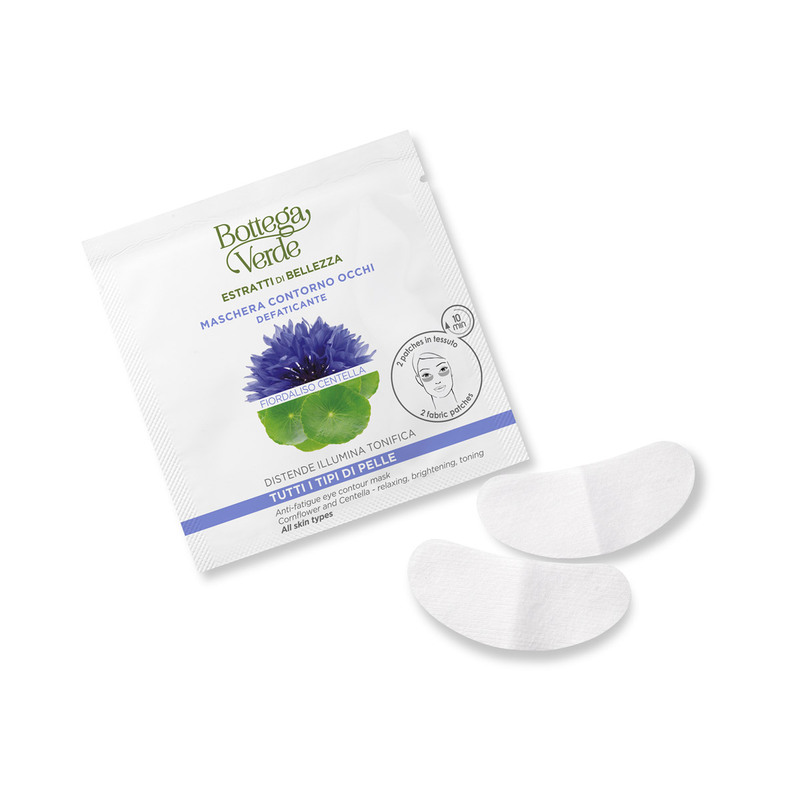 These practical fabric patches are enriched with Cornflower water and Centella extract. They help to enhance the appearance of bags and dark circles to leave your eyes looking refreshed. These practical fabric patches are enriched with Cornflower water and Centella extract to leave your eyes looking refreshed. Direction for use:How to use it: open and spread out the patches on the area just below the eyes . Leave them in place for 10 minutes . Remove the patches and pat the area gently. Remove any excess material with a cotton pad . Suggestions:People who want a fresh, radiant gaze. Characteristic:Choose it if you want a product that contains no parabens, formaldehyde releasers, mineral oils, PEG, Silicones or EDTA.